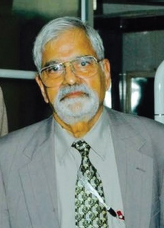 It is with deep sense of grief, the IAPHD and the editorial board informs the sad demise of Dr. Mohandas Bhat who initiated the field of Public Health Dentistry in India. Dr. Mohandas Bhat passed away on 27th of August 2018. Though his death brings great sadness and irreplaceable loss, he lives eternally through his contributions to the field of Public Health Dentistry in India. His values of life and journey has been exemplary on many accounts and shall inspire many generations to follow. Heartfelt condolences to the family. May his soul Rest In Peace. A tobacco cessation clinic has been set up in the Department of Public Health Dentistry, PCDS & RC. A logo representing our unit is designed on the caps and batches worn by our unit. Also the tobacco helpline is functional and aids in telephonic counseling for tobacco cessation. A tobacco cessation camp was held for female prisoners at Central jail with the help of street play and toothbrushes and toothpastes were distributed. Tobacco cessation awareness was given to the attenders of PCDS and RC. 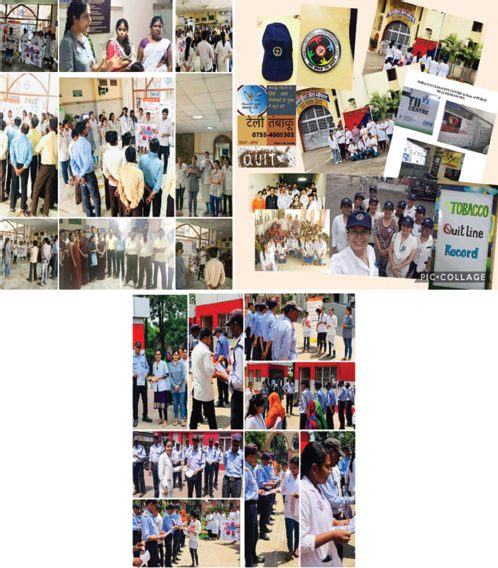 They were made aware of the various cessation methods and samples were distributed. Since security guards have a different work pattern which makes them more prone to addiction to tobacco and its products, we conducted oral hygiene awareness and tobacco cessation activities for security GUARDS in PCDS Bhopal. Samples were also distributed to them. Co-ordinators: Dr Ajay Bhambal, Dr Garima Bhambhani. 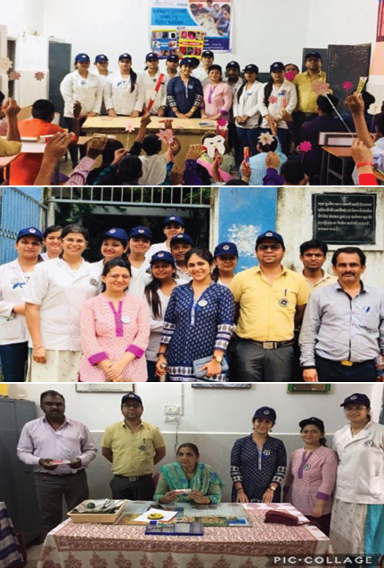 Oral hygiene day was observed at Juvenile jail by the team (tobacco cessation unit) PCDS & RC. We played various games with the inmates and quiz related to oral health. And distributed prizes. Oral hygiene practices were demonstrated. Tobacco cessation awareness was also given to them.